We’re all very proud to announce our latest accomplishment at OOOH.Events in 2018. This summer OOOH.Events was honored to receive a serious and important rating from FinancesOnline, a popular B2B software review platform. FinancesOnline is an independent platform for software and online services ratings, whose mission is to provide a professional and reliable tool to support researches of best possible services to businesses. It has reviewed thousands of software solutions to date, including the best event management companies in the market. 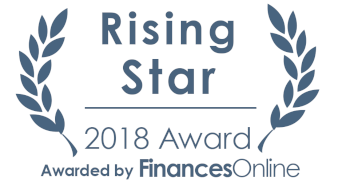 Rising Star 2018 Award has been accomplished by OOOH.Events for its increasing market popularity and positive consumers reception that acknowledges our platform as an effective and efficient tool to solve issues for one’s day-to-day business. FinancesOnline adds that inexpensive OOOH.Events pricing make it desirable for companies looking for a feature-complete solution that doesn’t break the bank. For its simple commission-based scheme, FinancesOnline recommends OOOH.Events as a top choice for businesses that are looking for a flexible event management software pricing. 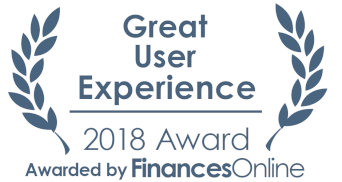 Great User Experience Award recognizes how OOOH.Events is user-friendly. Thanks to its well-thought and simple interface, it is capable of guiding organizers in the entire process of creating an event. This latter award makes us very proud given the big effort we all put in a project which had in its foundation the will to make it both self-service and complete so to satisfy the needs of any event-maker and, also, simple to use even for those who have never used a modern and advanced ticketing system. We are very grateful to FinancesOnline for the awards received proving that we have set the right path. This recognition of all our efforts motivates us to continue to develop our platform.